This cologne is the best of my collection. I highly recommend this to anyone for a Christmas gift or for the birthday of thier father or husband. I don't like ties, but I do like cologne and this one is the best I have ever had. 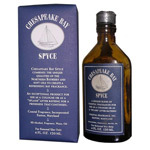 My wife purchased this cologne in Easton,Md. I wear it every..